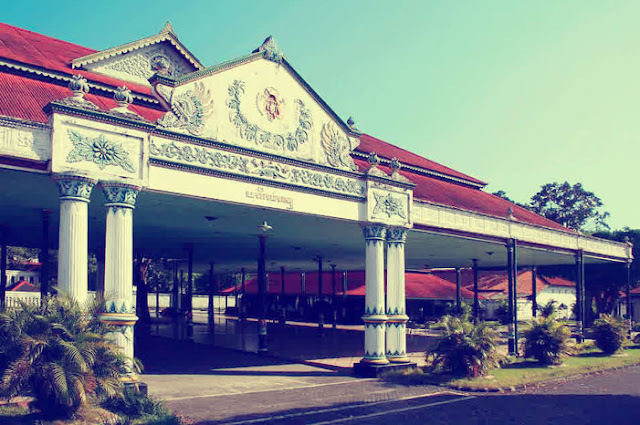 Yogyakarta Special Region (Daerah Istimewa Yogyakarta, DIY) is one of the foremost cultural centers of Java. This region is located at the foot of the active Merapi volcano, Yogyakarta was in the 16th and 17th centuries the seat of the mighty Javanese empire of Mataram from which present day Yogyakarta has the best inherited of traditions. Yogyakarta is arguably the cultural center of the island. Here, the tradition of shadow puppets, batik making, arts and crafts, music and dance are not only alive but encouraged. The main tourist attractions are located around or along Malioboro Street and the sultan's palace where you can watch artisans making their crafts, shopping for batik cloths, silver jewelleries or catch a theatrical show. There are so many beautiful beaches, amazing caves, pretty scenery, waterfalls in Gunung Kidul. With fresh fish and beautiful scenery Gunung Kidul Yogyakarta Indonesia is the perfect escape. And this Top 5 Destinations of Yogyakarta Indonesia. The palace is known in Yogyakarta as the Keraton. Although it’s open for visitors in the morning, it is still a functioning part of the political sphere here in the region. The sultan holds that particular title in name, not power, since the declaration of Indonesian independence in 1945 – but he is also automatically the governor of the region. Therefore the Keraton is used for official functions, political meetings, and as the royal residence. The visitors can enjoy the atmosphere of the kraton in former times by visiting the life-size diorama of wedding ceremonies on the palace meeting hall, performed by puppets, which are intentionally arranged to create such an atmosphere. Sets of Javanese musical instruments, antiques and heirlooms have made the palace of Yogyakarta worth to visit. Many sets of gamelan music instruments, antiques, and heirlooms make the palace of Yogyakarta the most interesting tourist attractions in Yogyakarta. The placement of the pavilions, the courtyards and even the trees all have a significance within the traditional spiritual view of the world by the local people. But, look a bit closer, and you’ll also see in the intricate designs an integration of the faiths that have influenced this part of Indonesia over the years. There are Buddhist, Islamic and Hindi elements to much of the decoration in the central part of the palace. Malioboro street area is almost always crowded with visitors, many tourists who come here after another. 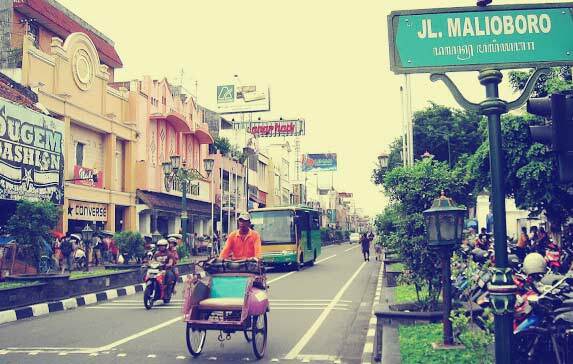 Zone 0.Km and malioboro Street where tourism is most often visited by tourists from various countries. A visit to Yogjakarta is not complete if you don't step foot on Jalan Maliobori. The festive atmosphere from evening to late night keeps you awake too. There's lots to do here. The street stalls sell pretty tasty food like soto ayam, Indonesian Gado-gado (vegetable salad with peanut sauce) etc. Music group from the local infront of the Mal Malioboro. People who visit this street can enjoy their show. If you want to buy batik in yogyakarta, this is the place. Here, you can find pasar beringharjo which sell clothings, mostly batik fabric. This is the most happening spot in yogjakarta. The presidential palace is located on this street as well. It's a place where you can find amost anything you need. Being in the heart of Yogyakarta, close to Kraton, train station, Tugu the landmark of Yogyakarta, and some other attractions, it's literally the busiest part of the city. 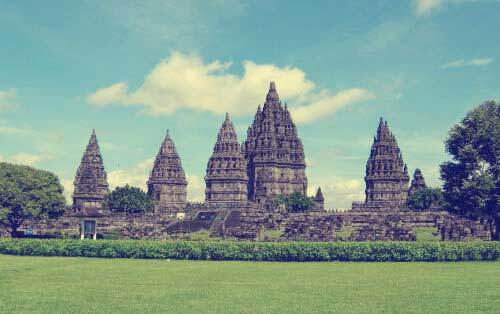 Prambanan is the masterpiece of Hindu culture of the tenth century. The slim building soaring up to 47 meters makes its beautiful architecture incomparable. Seventeen kilometers east of Yogyakarta, King Balitung Maha Sambu built the Prambanan temple in the middle of the ninth century. Its parapets are adorned with bas-reliefs depicting the famous Ramayana story. This magnificent Shivaite temple derives it name from the village where it is located. According to the history, Rakai Pikatan, a Hindu prince from Sanjaya Dynasty, who had married into the ruling Buddhist Sailendra monarchy built all the temples in the Prambanan archaeological park in the 8th century AD. In its original form, the temple complex contained over 250 large and small temples. The temple compound was expanded by successive Mataram kings with the addition of the hundreds of perwara temples around the central temples. It served as the royal temple of the Kingdom of Mataram for its religious ceremonies and sacrifices. However, in the 10th century the temple was largely abandoned because the Mataram dynasty moved to East Java. It then collapsed during a major earthquake in the 16th century. This is the most famous and also the most magnificent of Central Java's temples or more precisely complex of temples. 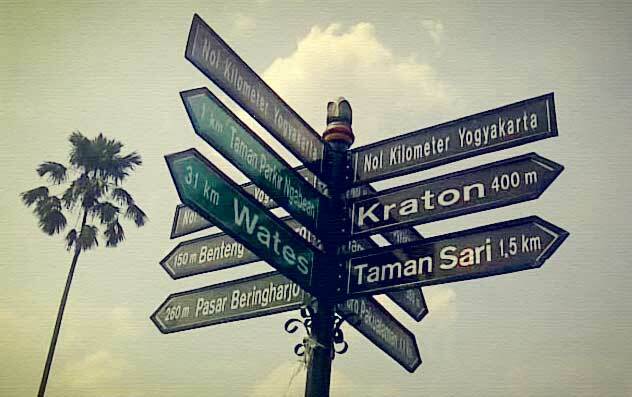 Situated about 15 kilometers from Yogyakarta. This cave has a length of about 300 m, width 5 m, the distance between water surface and roof of the cave is 4 m, and water depth of about 5 m. It is located in Gunung Kidul. Pindul Cave offers a set of interesting natural scenery and unique traveling experience. This cave provides a different style of enjoying activity. 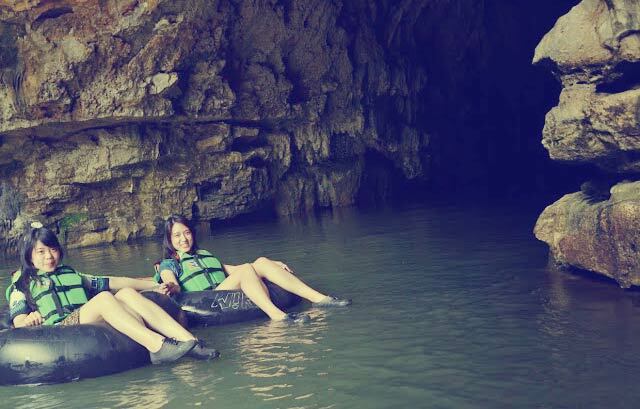 Especially, when you are laying on a set of tubes, you can enjoy drifting along the Pindul River underground with its unique caves. It filled with a cluster of bats, the magnificient stalactites within. The journey seems too short when you are able to see such beauty inside the cave. The activity is one of tourist attraction which is located within Bejiharjo Village in Karangmojo, Gunung Kidul. You need a vehicle with strong engines in order to reach there. 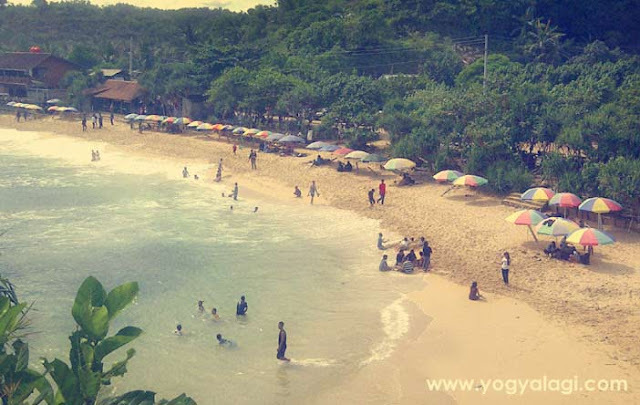 Indrayanti Beach, is one of the most popular new beaches in Yogyakarta, Indonesia. It's located in Indrayanti Village in Tepus, sub Tepus Wonosari Gunungkidul, which is easily accessible using private cars and motorcycles. Some people usualy use this beatiful scenary of Indrayanti Beach as a spot for pre wedding photography. Despite the heat in the daytime, you definitely won't miss chances to take pictures in every corner of the beach. Plant dominated coastal pandanus trees add shade atmosphere. Some small trees from Goverment Environment Agency are also grown to withstand abrasion. Indrayanti Beach became an alternative place to spend a family vacation. You can enjoy traditional music called “Gamelan” in the cafe area here. Indrayanti beach proven safe enough for swimming. Jetsky is available for rent, the only one in the southern beaches area. Although extreme, this sport is safe because each jetsky rider wearing a life jacket and get a companion from the experts.